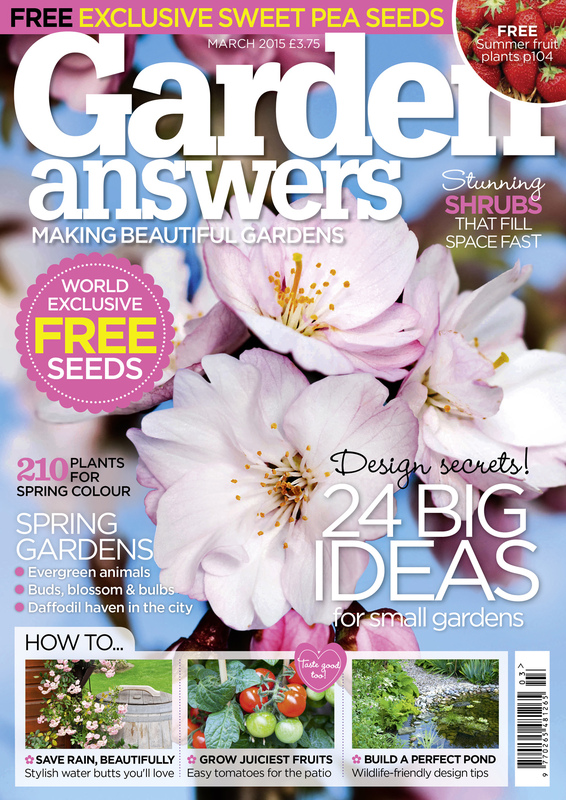 It all started with a photograph in Garden Answers magazine. It was of a painted garden bench between two climbing roses, and looked stunning. 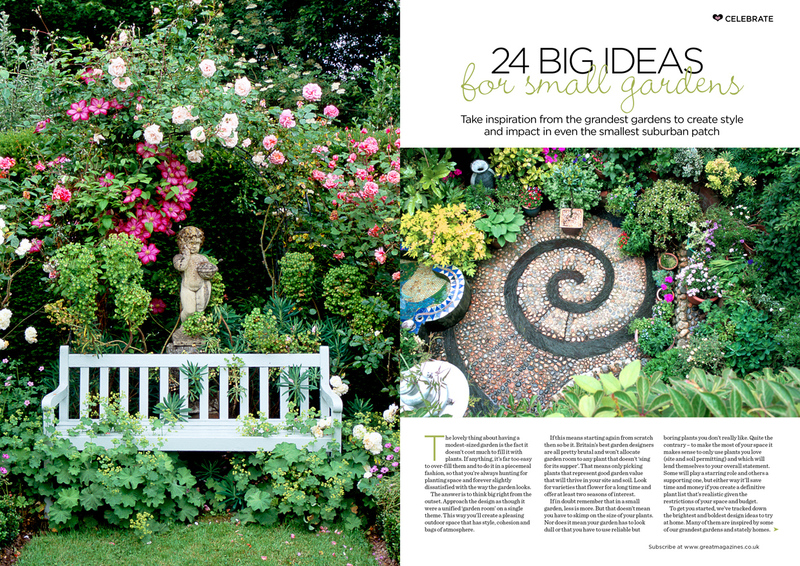 Plus it was to illustrate focal points within a small garden, something I needed too. The thing is, I have two climbing roses and a bench next to the greenhouse. It wasn’t my favourite and so was used as a place to harden off plants. Its legs were rotten with neglect but exactly the right width to go between my roses. So a plan was hatched to replicate the picture. After much sanding, treating and painting I now have a lovely seat that is perfect for the job. A ‘before’ photo on a new seating area. The area between the two roses needed work too. I relocated a purple heuchera, a sedum, and then viciously pruned a Hebe to make space. I laid weed suppressant and gravelled over the area. There was already some snowdrops that had either self-seeded or flown in with the birds, so I added a few more from my front garden. 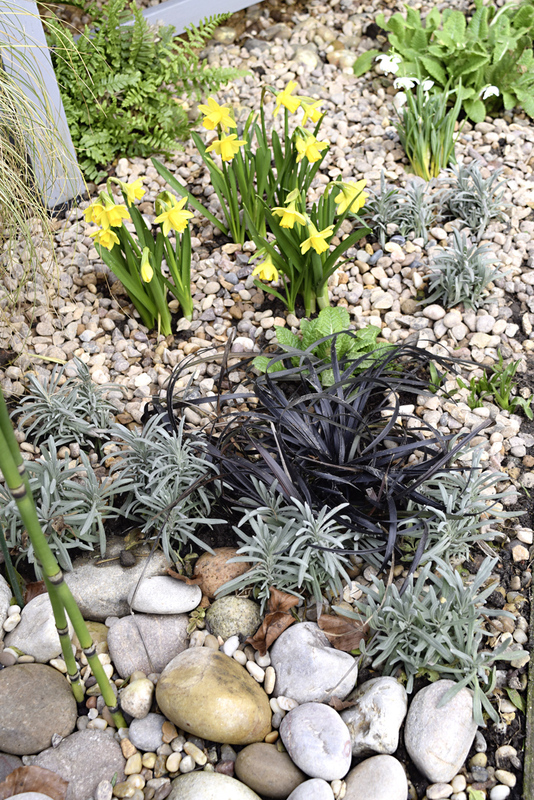 Miniature narcissi brigtens up the gravel. Keeping the colour palette grey, white and a splash of yellow, I bought some miniature narcissi, then added yellow primroses and a pale yellow camellia. 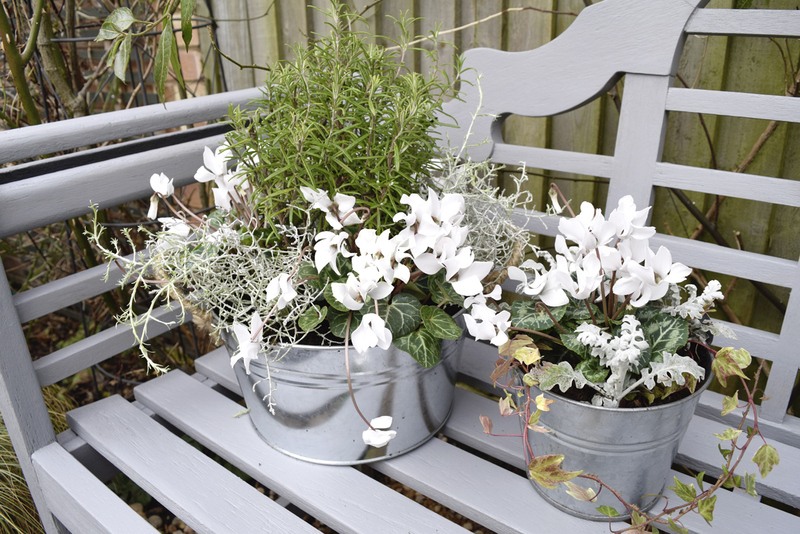 I decided to use metal containers for this area as they look so chic. I planted white cyclamen with grey calocephalus . Rosemary and senecio cineraria ‘Silver Dust’. 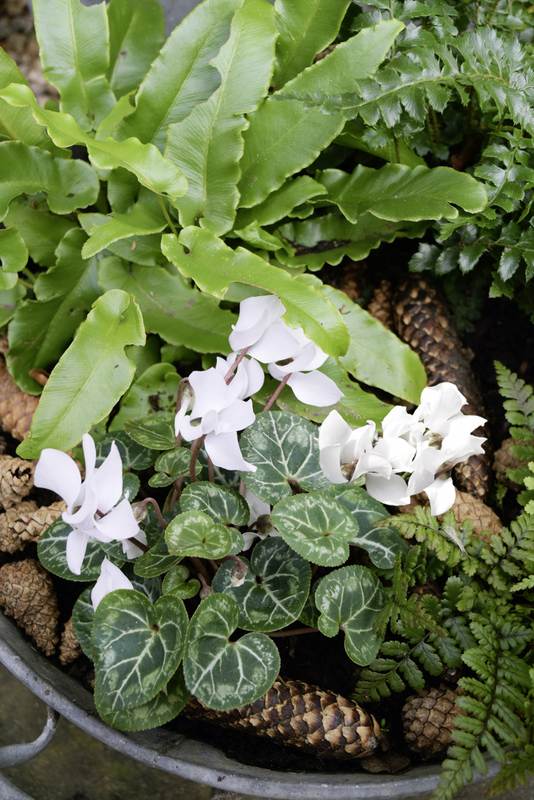 A white cyclamen lights up a collection of ferns. Bushy lavenders also found their way into the gravel bed with some black grass that I always seem to have an abundance of. Metal containers look so glam! Cyclmen snuggled in with the ferns with pine cone top-dressing. 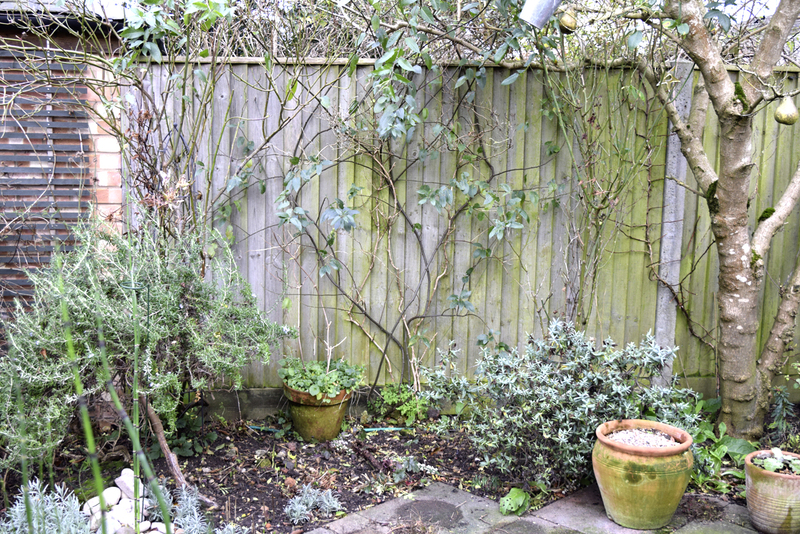 This sunny side of the garden is a perfect spot in springtime to sit and relax but what I am really waiting for is the summer when the roses will be in bloom. The shady side of the garden is a nightmare. It has been severely hacked back to give access for workmen. A purple hazel had too much growth from the bottom and this needed cutting out. Plus a buddleia welcomed a chop too. But what has really alarmed me is the damage caused not by the builders but my pet hate: vine weevils. 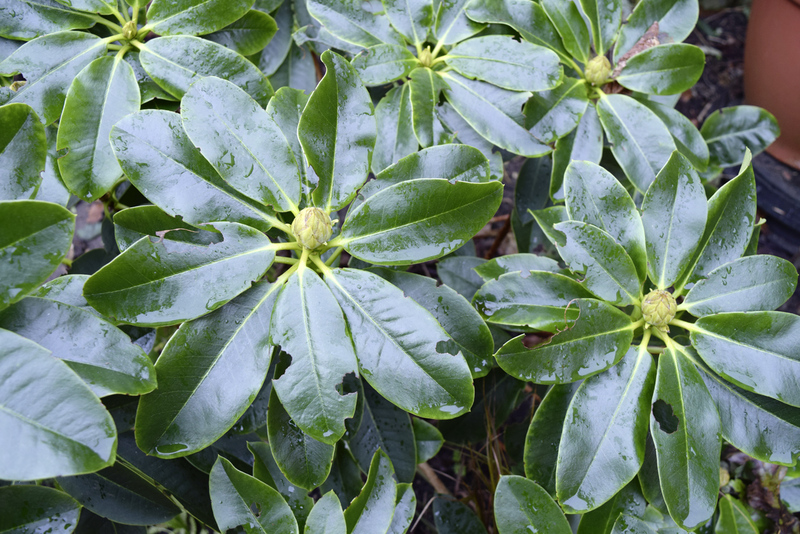 I treated the rhododendrons last autumn but they have been feasting on the pale yellow one that’s in the ground all winter, whilst leaving the one that’s in a container unharmed. I’m not risking it though and so treatment is number one priority.